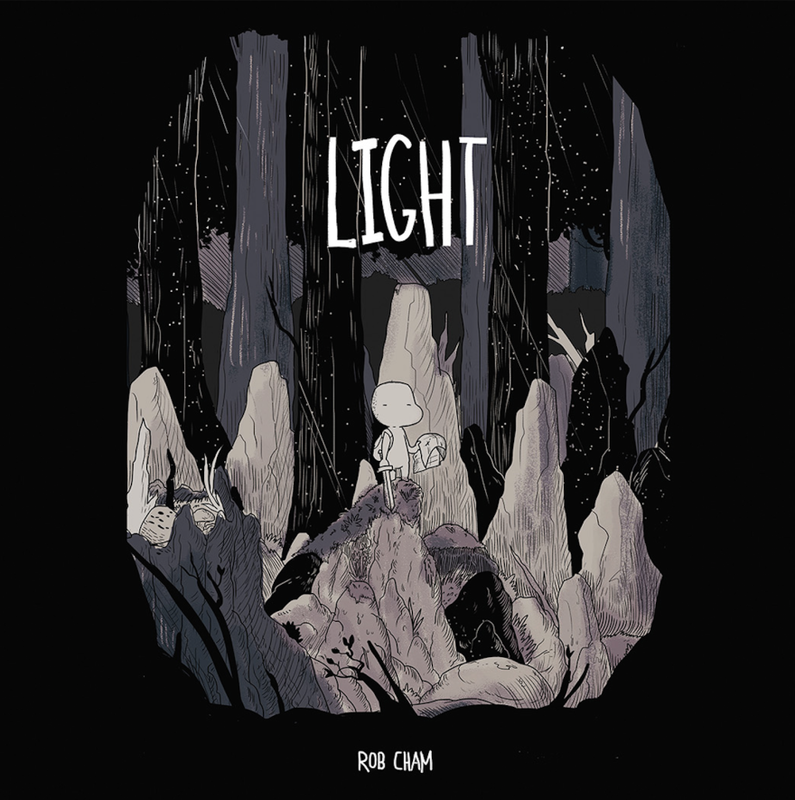 We just got back from this year’s SPX, with our debut book LIGHT by Rob Cham, and it was amazing! We nearly sold out! Which is a good thing, because if you didn’t have a chance to make it to SPX, you can now purchase Light direct from our webstore! Go get it! Did you know you can order our first book and have this glorious hardcover novel in your hands this September? Did you know you can fill out this form and bring it your local comic book shop and they will get it for you? Did you know i’m figuring out how to do this as i go? Now you know! Share, reblog, retweet, and get this beautiful book by Rob Cham! 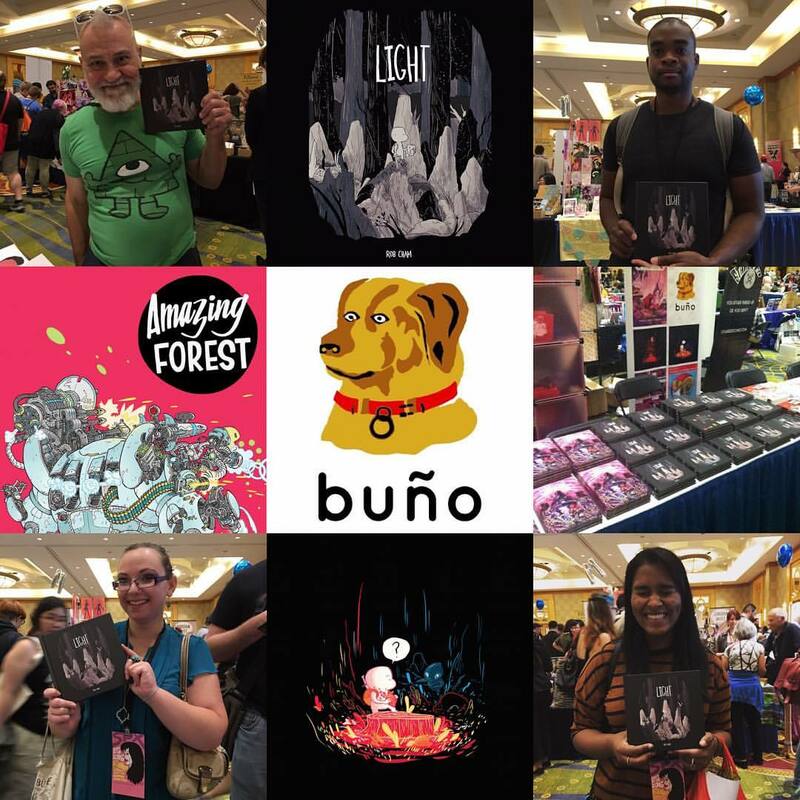 (Chicago IL – June 20th, 2016) Magnetic Press & star comic writer/artist Ulises Fariñas announced Buño, a unique new comic book publishing imprint at Magnetic Press. The imprint is independently operated and curated by Ulises Farinas & Storme Smith. The first 3 titles to be published by Buño will be: LIGHT (written & illustrated by Rob Cham), CLOUDIA & REX (written by Ulises Fariñas & Erick Freitas, illustrated by Daniel Irizarri), and THE GUARDIAN FORCE DESIGN MANUAL (written & illustrated by Ulises Fariñas, inked by Mike Prezzato). “We started Buño because we want to make this industry better,” said Fariñas. “I’m a Latino creator, I’m Cuban American, I’m Cuban/Afro-Cuban, I’m a lot of things, and I want to not just hear publishers talk about diversity, I want to be that diversity, and I want to make that possible for others as well. The first title to be released by Buño is LIGHT, a silent, original graphic novel written & illustrated by Rob Cham. Light is a silent graphic novel that follows a pair of adventurers from a black & white world as they embark on an epic quest to collect five magic gems of color from deep inside the earth and bring them to the surface to return color to the world. Their perilous journey through torch-lit darknesses takes them to vibrant secret caverns, endless passages, crystal-clear waters, and encounters with strange beasts, dangerous creatures, and mysterious hermits. LIGHT will hit shelves September, 2016. CLOUDIA & REX, written by Ulises Fariñas & Eric Freitas and illustrated by Daniel Irizarri. CLOUDIA & REX is a lushly rendered supernatural fantasy that follows two girls and their mother who find themselves in the middle of a vast, supernatural exodus. On their journey Cloudia is bestowed the powers of hundreds of different gods, but even those don’t help her come to terms with the death of her father. THE GUARDIAN FORCE DESIGN MANUAL is a meta-fictional art & design book written & drawn by Ulises Fariñas, inked by Mike Prezzato. Packed with Fariñas’ signature style of endlessly detailed art; the book presents a staggering array of strange technologies, bizarre monsters, and towering super-suits. The Guardian Force Design Manual seamlessly blends fiction with real-world design history, functioning as both an artistic timeline for a vibrant fictional world, and a showcase for the lineage of design in the Sentai and Tokusatsa genres. Buño debuts with Rob Cham’s LIGHT, in stores September 2016.